SOUTHWOLD Railway Trust (SRT) has bought the site at Blyth Road, Southwold on which it will develop its Steam Works attraction. The land is next to the Southwold Railway’s 1879 trackbed. SRT has almost emptied its coffers (other than ring-fenced funds for specified projects) to make the purchase, hence a major fundraising effort will be launched to finance construction of the visitor centre, railway restoration shed, track and landscaping at the brown field location. 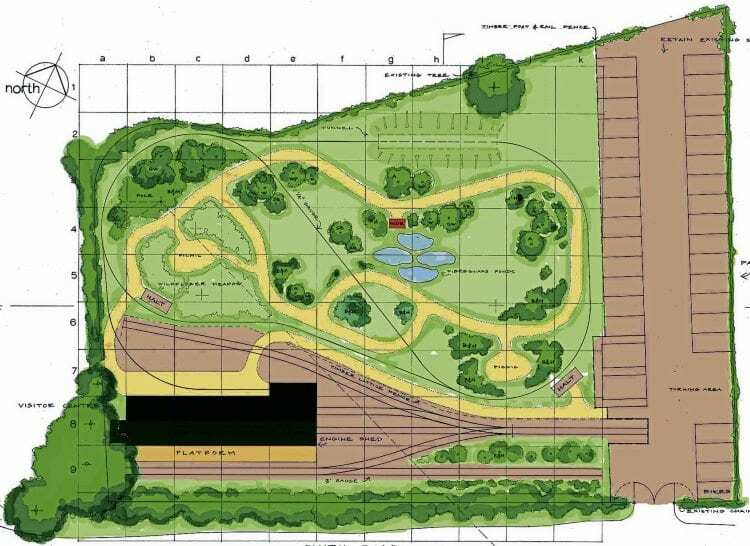 SRT owns the site of Wenhaston station and a length of trackbed, but this is the first land to be owned by SRT with planning permission for railway construction, a big step towards the aspiration of fully restoring the eight-mile, 3ft-gauge Southwold Railway. 1913-built, 3ft-gauge Peckett 0-6-0ST 1316/1913 Scaldwell will be relocated to Suffolk in May for restoration to steam, joining Peter Nicholson’s ex-Lochaber Railway H-series 34hp Deutz-engined Motor Rail 4wDH Mells.